Everyone has to start somewhere and the Raptor ep3 pack is your child's ticket to rock stardom the ep3 measures 30" in length and is constructed of light weight solid basswood body, making it fit well in your kid's hands. It's equipped with a single coil pick up and a fixed bridge for awesome rock tones and vibes. 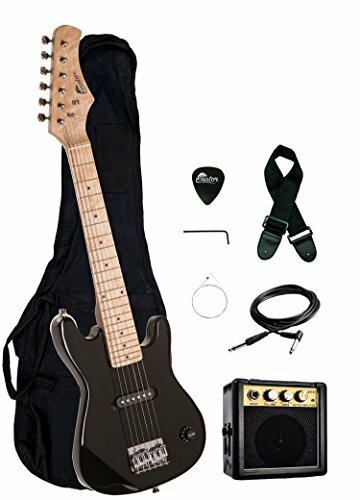 Pack comes complete with an amp and accessories. If you have any questions about this product by Raptor, contact us by completing and submitting the form below. If you are looking for a specif part number, please include it with your message.